A great activity to keep your kids busy as Christmas is coming, 12 free pixel art templates to download and print. Santa – of course ! 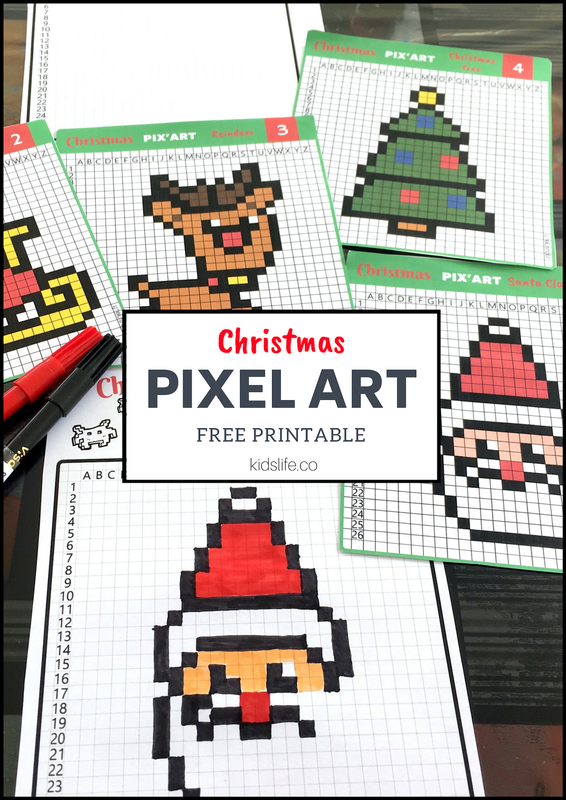 You can discover the other free printables by downloading directly the pack below. 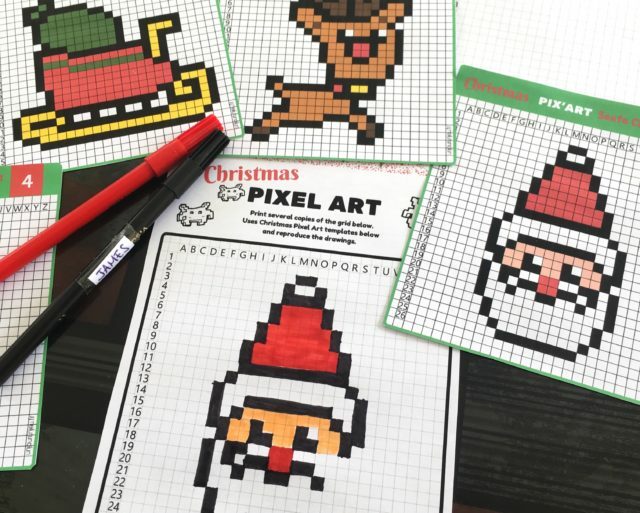 All you need to do is print out our blank pixel grid for kids as well as the templates. You can print 2 grids per copy and same for the templates. See you soon with new Christmas activities !